Have you got an idea but need help making it a reality? Don’t worry, we can design it for you! Our friendly in house design team can help make your idea a reality. We have a variety of different software solutions to suit requirements. Whether you need a 3D model built or a complex illustration, one of our team can help. If you have measurements of a space you want to fill with shelving/carcussing or a tv unit, we can design a bespoke solution to accommodate. 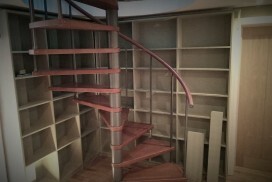 We offer a full carpentry and cabinet making service. From design to completion. 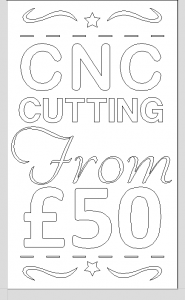 We can design from a hand drawn sketch and turn it into an engraving on your project. 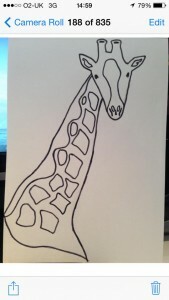 In the example below you can the see a photo of the original drawing and then the finished engraved wood. 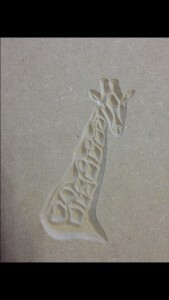 CNC routed sketch of a giraffe. 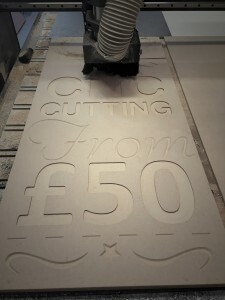 We can also design bespoke signage as shown below. On the left is the vector design we created in one of our software packages. The middle photo shows our CNC router engraving the wood. The last photo shows the finished product, stained with dark oak beeswax. 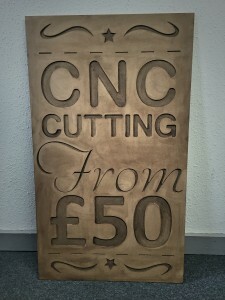 This example was engraved into MDF but we can engrave plastics, foams, aluminium, resin boards etc.